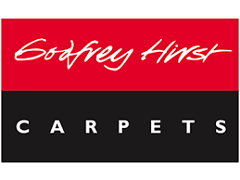 Looking for a quality carpet supplier on the Sunshine Coast? Whether you are looking for domestic or commercial, Kawana Flooring Warehouse has an extensive range of carpets available, from luxury wool to marine carpet, and heaps more to suit your budget and style. 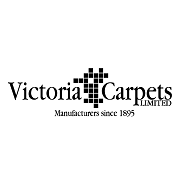 We also supply the best value-for-money underlay available, sourced only from reputable suppliers. We are proud to stock underlay from Australia’s most trusted supplier - DUNLOP UNDERLAY. Here at Kawana Flooring Warehouse, we can assist you with carpet repair services that provide professional results with old fashioned values and minimal fuss to you. Stains, burns and other isolated carpet damage can sometimes be repaired. If you have a rental property, chances are that at some time there will be carpet accidents or isolated wear and tear that will require attention. One of the excellent services offered to you by Kawana Flooring Warehouse is our carpet overlocking service which is done completely in-house. Carpet overlocking / carpet edging creates a neat seam or edge around a carpet offcut, not only making the edges look neat but also providing an instant ready made floor mat. Floor mats in doorways trap dirt and grit that would otherwise be walked into your new carpet. Using mats in doorways and entries dramatically increase the life-span of your carpet. When designing your new home or redecorating your existing home, a rug can be the focal point of an entire room or a subtle touch to your existing flooring. Commercial premises too, can benefit from the exotic or warm touch of a designer rug as a focal point or floor filler. An area rug defines a grouping of furniture or can help create flow from one room to another. They enhance your décor as well as defining space and help create functional zones. Because we can offer you a custom rug in a range of designs and colours, you are not as restricted in size and shape as you would be buying a rug off the wall, so to speak. We can create a custom size rug specifically for you. Custom rugs will absorb sound and protect a more delicate floor area, such as timber flooring. Kawana Flooring Warehouse, your one stop carpet and flooring shop. With quality carpets at the right price; custom rugs; carpet repair and overlocking services, Kawana Flooring Warehouse is the premier flooring destination on the Sunshine Coast. Visit our showroom or contact us for more information today.